With pain and agony written all over her 25-year-old, Ms. Ayisha Isshaku, a mother of three, could only watch as her child writhe in pain. But her agony turned to smiles when the telecommunication giant MTN-Ghana came to her assistance. 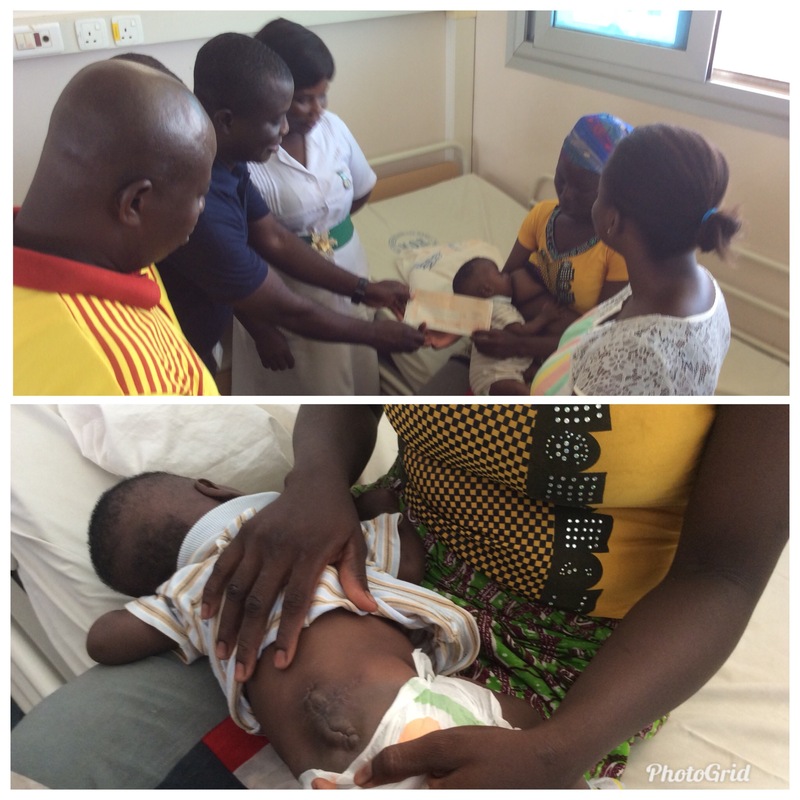 Ms. Issahaku's child was one month old when he was diagnosed with spinal bifida at the Tamale Teaching Hospital. The nursing mother who hails from Kachirase in the Central Gonja district of the northern region did not have the resources to pay for surgery. She subsequently begged and asked for alms to raise money for surgery in order to save her child's life. Ayisha’s quest for financial help took her to the markets in Tamale and finally to Zaa Radio and the MTN Tamale main branch office for support. Doctors at TTH described spina bifida as a birth condition where there is incomplete closing of the backbone and membranes around the spinal cord. It occurs when the spine and spinal cord do not form properly. 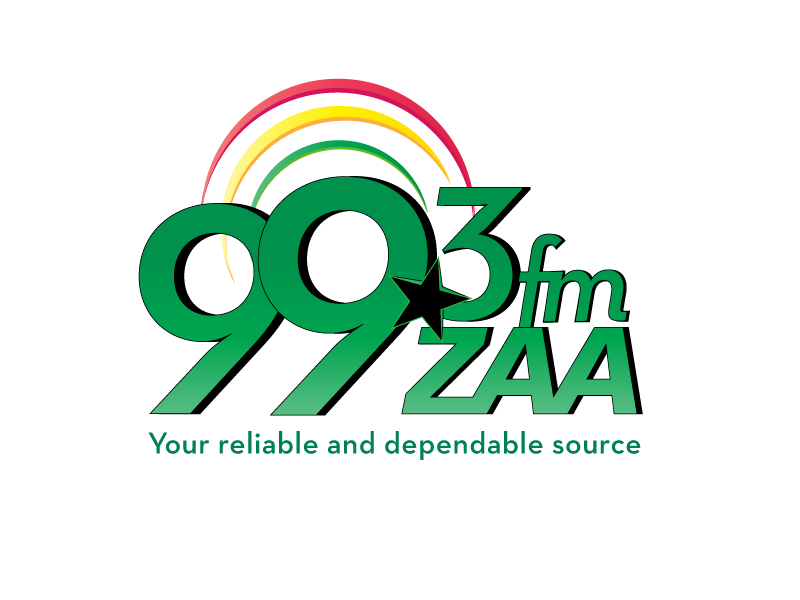 Zaa radio listeners out of sympathy after the station aired her plight contributed 320 GH¢ for a scan to be done on her baby head which had swelled up from another possible complication known medically as hydrocephalous. Fortunately, the results of the scan according to the neurologist at TTH indicated that, the baby was free from hydrocephalous at least for now. However, Mrs. Issahaku whose husband left her and the baby to their fate was supposed to pay GH¢ 3,700 as cost for repairing her baby's spinal bifida. She lived under the kind gestures of nurses, doctors and other patients for almost a month at the hospital after the surgery, but she was detained because she had no money.Her plight touched many health workers at the neurosurgery ward when she took the baby out to beg in the scorching sun. MTN-Ghana after receiving a letter appealing for support from the TTH medical social work unit got touch with the nursing mother and presented a check for 3,700 GH¢ to Ms. Issahaku and the officials of TTH to pay for the surgery which took place on Tuesday. The distressed nursing mother expressed her gratitude to MTN-Ghana foundation, the management of Zaa radio and all those who showed her and the baby love and compassion during the difficult period. Overcome with joy, she prayed that Allah strengthen and grow MTN-Ghana to achieve its mission and to serve its customers better. Officials of MTN were also taken by surprise when they realized Mrs. Issahaku even borrowed five Ghana cedis to travel from her village to the hospital to accept the check. So, they quickly mobilized additional money to transport her back to Kachirase. The Tamale Branch Head of MTN-Ghana, Mr Kwami Aseye Akude told Zaa News the telecom giant is committed in three areas of its corporate social responsibility. The areas are health, education and economic empowerment. MTN-Ghana mission, Mr Akude said, is to make the life of its customers brighter. "We are excited that this child's future will be bright." Dr Dorcas Osei-Poku, the neurosurgeon at TTH, attributed the spinal bifida condition to lack of folic acid in pregnant women and encouraged expectant mothers to eat more green leafy vegetables to prevent their babies from developing such complications. There has sadly been an uptick in the number of babies with the condition she said, and mothers are absconding because of the prohibitive cost of the surgery. So far this year, the ward has recorded five cases, she added. The major cause, Dr. Osei-Poku said, are not clear but some are genetic with the most common cause being lack of folic acid in the diet which was necessary in the first four weeks of development. However, most expectant mothers don’t begin visiting antenatal clinics until it is too late by which time deformities have already set in, she said. She therefore advised that when a women gets pregnant, it is good to take a daily dose of folic acid. The Head of the Medical Social Work Unit at TTH, Alhaji Braimah Saaka hinted that his unit will soon liaise with media houses to mobilize money for cases such as Ms. Issahaku's. The medical social work unit at TTH which was supposed to be assisting patients such as Ayisha was also handicapped. Alhaji Saaka said a dedicated account will be open in a bank purposely for donations to support needy patients who seek medical care but can’t afford it.